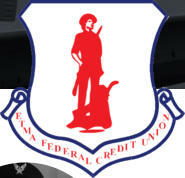 ETMA FCU welcomes you! Thank you for visiting our website. We would love to meet you and get to know your entire family. 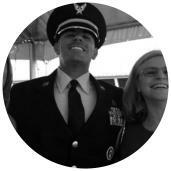 After all, we realize that the military is one big family and we want to welcome you to ours! It’s simple to join and all it takes is a minimum deposit of $5.00 to become a member. 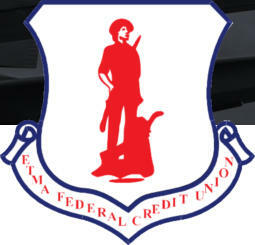 Located at 1828 Airbase Road in Louisville, Tennessee, ETMA FCU is a financial institution serving a military and veteran-based membership. In addition, ETMA welcome’s your extended family as well, and look forward to serving your fnancial needs for years to come. With a variety of financial products, such as checking, savings and youth accounts, ETMA looks forward to being your primary institution. Call or email us today to learn more; or just stop by our Blount County office to begin your road toward ETMA FCU membership! 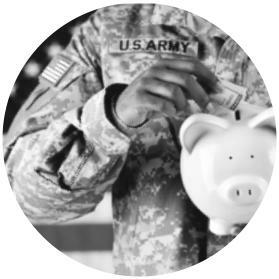 Our mission is your financial future! You can even apply online! We realize that your life is busy enough. That is why we want to make it as easy as possible to join ETMA FCU. If life is too hectic to drop by our office at 1828 AIrbase Road in Lousivlle, TN, just fill out the application online and we’ll be in touch! With a variety of financial products to serve our members, ETMA is geared to become your primary financial insitution. Maybe you need a family checking account with online billpay. Maybe you are saving for a big future purchase or looking to just save for a rainy day. Maybe you’ve been saving up for a down payment and need a loan for a new car, RV, truck or even a new home. Regardless, ETMA is here, offering you a great selection of financial services and loan options. Need more information? Visit our Services page below! With Identity Theft an on-going concern, ETMA takes great precautions to ensure your privacy. We understand that your financial information deserves the utmost of security. Check out our Privacy Notice below for more information. …current and former military personel, along with their immediate and extended family members residing in Blount and Knox County, Tennessee. Here is a breakdown of those eligible for membership in the area: Federal Employees residing in Knox or Blount County, TN Military Persons residing in Knox or Blount County, TN Member or Employee of the Tennessee National Guards (Air or Army) Retired Pensioner or Annuitant from one of the above groups Relatives to any member of the above groups who is a member of ETMA FCU Local VFW and American Legion Members Tennessee Veteran's Business Association Members Have questions about how to become a member of East Tennessee Military Association Federal Credit Union? Call today or email us with the link below. …current and former military personel, along with their immediate and extended family members residing in Blount and Knox County, Tennessee. 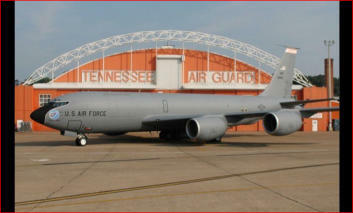 Here is a breakdown of those eligible for membership in the area: Federal Employees residing in Knox or Blount County, TN Military Persons residing in Knox or Blount County, TN Member or Employee of the Tennessee National Guard (Air or Army) Retired Pensioner or Annuitant from one of the above groups Relatives to any member of the above groups who is a member of ETMA FCU Local VFW and American Legion Members Tennessee Veteran's Business Association Members Have questions about how to become a member of East Tennessee Military Association Federal Credit Union? Call today or email us with the link below.